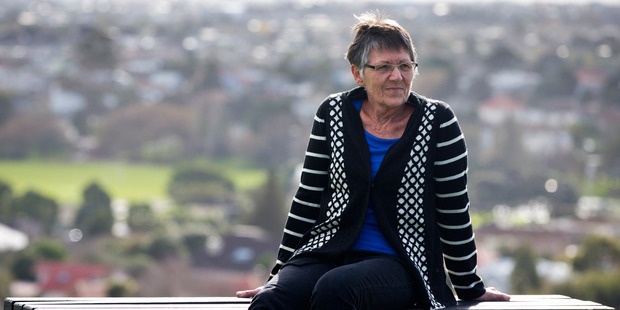 Half of decade-old metal hip implants defective – Life & Style – NZ Herald News. Government defends system but plans to overhaul rules so medical devices are included. Half of the metal-on-metal hip implants received by thousands of New Zealanders about a decade ago experienced significant defects, a Herald investigation has found. But there is still no official record of the damage done to people fitted with faulty metal hips, because the recall and monitoring process is handled by the medical companies which developed the hips and the surgeons who put them in people. The Government has defended the system but concedes it is now planning to overhaul regulations so that medical devices are included. The Weekend Herald investigation found about 2500 of the 5000 metal hip devices put into people were subject to safety notices, health warnings or a recall. Of the 2500 devices under question, about 200 – going on international rates – have led to medical problems so serious they have needed to be removed and replaced. The term “metal-on-metal” describes the stem, which fits into remaining bone, the metallic ball at its head and the cup into which it fits – an artificial system designed to replicate natural hip function. In 2012, a British Medical Journal article questioned the regulatory systems and the high chromium and cobalt readings in the blood of patients who had been fitted with the devices. A Lancet article the same year found a higher than normal revision rate for those fitted with the hips. Hip-replacement surgeon Peter Devane – who advised Australia’s regulatory body – said Governments were left playing catch-up because the risk rating of metal replacement parts was upgraded after they became popular. He said peak use was in 2007 – about the same time the risk was upgraded. He said about 5000 metal-on-metal hip replacements were done in New Zealand – a lower number than had been used by surgeons in other countries. That tempered the response, which involved surgeons making contact with patients to raise any issues which emerged. “We didn’t want to create a panic culture because it’s not as big a problem,” says Devane. Documents supplied to the Herald under the Official Information Act show 2551 devices were subject to safety or hazard notices from Medsafe, the government regulator for medical devices. A Medsafe spokesman said the regulator did not have a role to approve devices but looked to overseas regulators for guidance on devices. In each case where a product was subject to recall or a safety alert, Medsafe worked to make sure patients were informed. Health Minister Jonathan Coleman has stood by the regulatory system which does not approve the use of medical devices such as artificial hips. He said Medsafe had made sure medical device companies, surgeons and their professional bodies knew there were issues with the hips and that “surgeons were reaching as many of their patients as possible” to tell them there were problems. While standing by Medsafe’s handling of the issue, Mr Coleman said the regulatory system was going to be overhauled. Mr Coleman said health was a “rapidly changing” area “and we need to look at how legislation can better support that”. The proposed new law would be put before Parliament next year. The new system would regulate the quality, safety and effectiveness of all therapeutic products, including medical devices and cell and tissue therapies. Australian National University’s College of Law and College of Medicine Professor Tom Faunce said each country needed its own proactive medical device regulator when dealing with large, multinational medical corporates. “Each country owes it to its citizens to have the strongest possible individual regulatory system over pharmaceutical and medical devices.